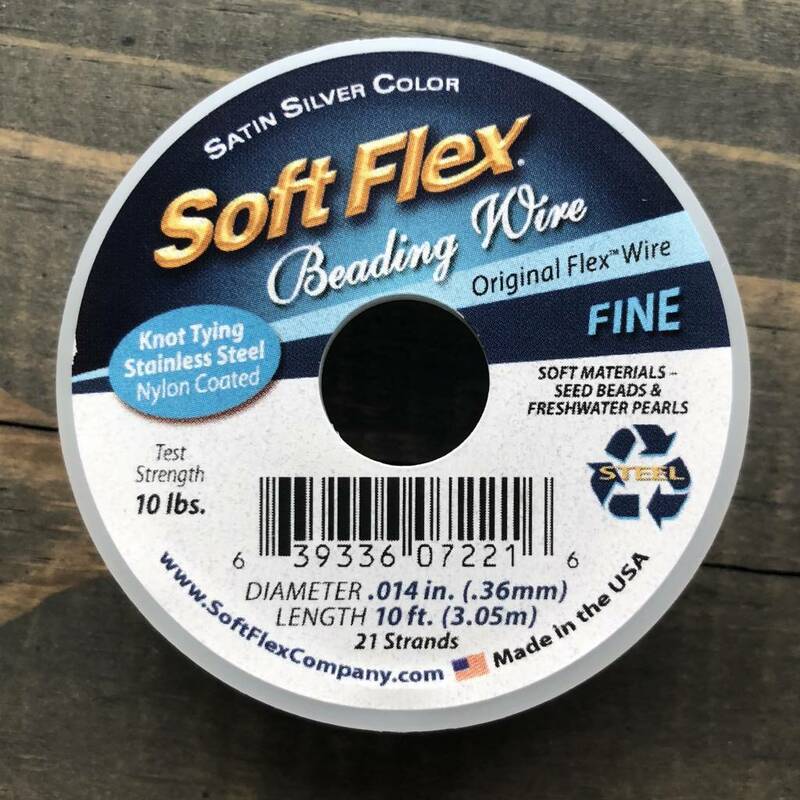 Home / Soft Flex Beading Wire - Satin Silver- Fine 10ft. 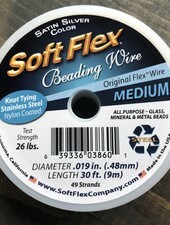 Soft Flex Wire is a lead-free, nylon coated stainless steal wire designed for strength, flexibility and durability. 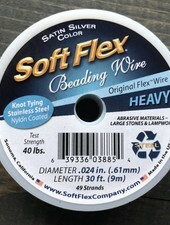 You do not need a needle while using Soft Flex, it is firm and ready for bead stringing. 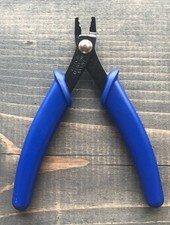 Best used with 2x2 or 2x3 tube crimps and a crimping plier. 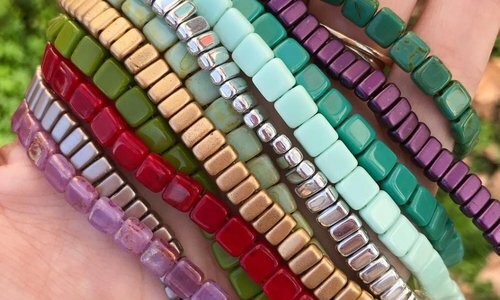 Currently available in three sizes: Fine, Medium and Heavy. 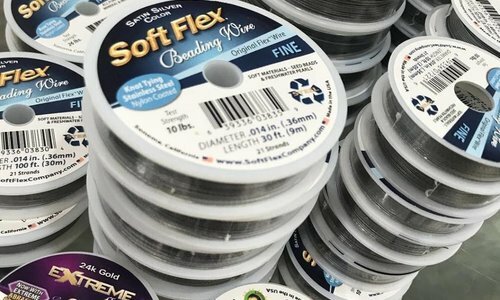 Fine Soft Flex: Will fit as small as a size 11/0 Seed bead. 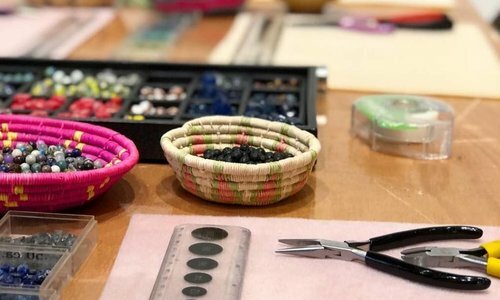 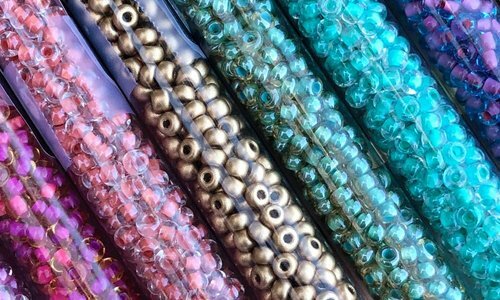 Great for pearls and smaller gemstones. 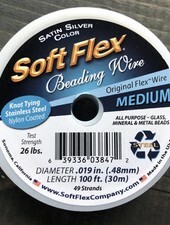 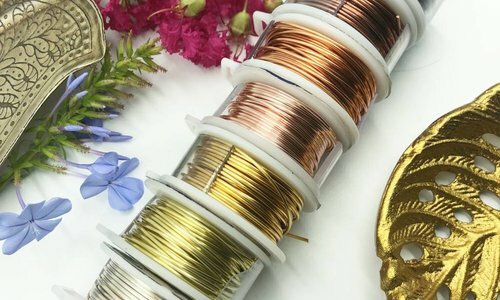 Medium Soft Flex: Perfect for 6mm-8mm gemstones, metal beads, bracelets and necklaces. 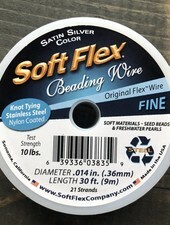 8/0 Seed beads will fit on Medium Soft Flex. 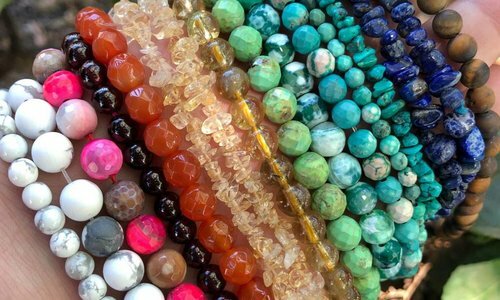 11/0 will not. 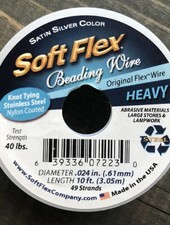 Heavy Soft Flex: Recommended for larger, heavier stones or beads with more abrasive texture. 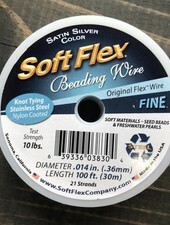 Soft Flex Beading Wire - Satin Silver- Fine 30ft. 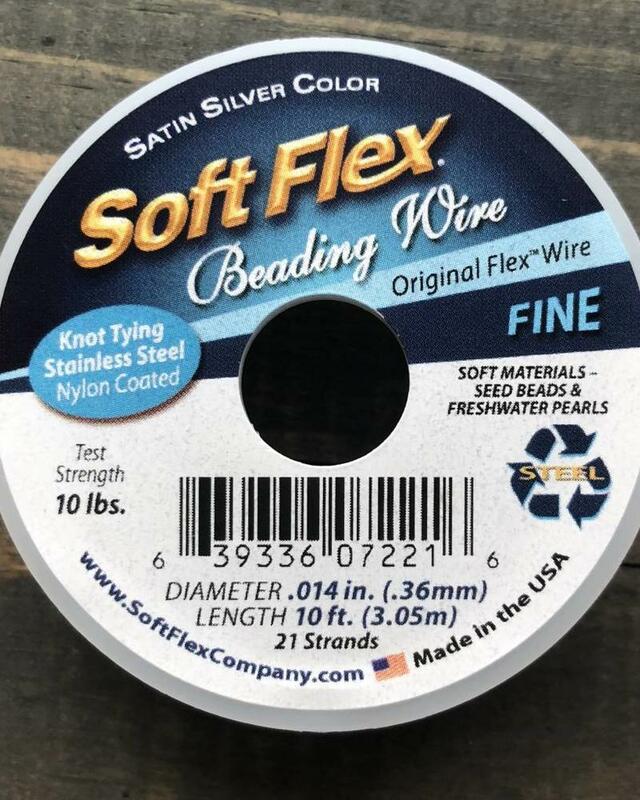 Soft Flex Beading Wire - Satin Silver- Heavy 10ft.